As with all children’s playgrounds, safety is paramount. This critical determining factor was the starting point for discussions between the builder Leighton, the contractor MG Group and Austim, in determining the most suitable timber to be utilised for this project. With its guaranteed environmental credentials, recycled Spotted Gum was suggested by Austim and duly selected as the timber of choice. When coupled with unmatched strength, durability and its natural beauty, this specie performs exceptionally well in exterior applications. 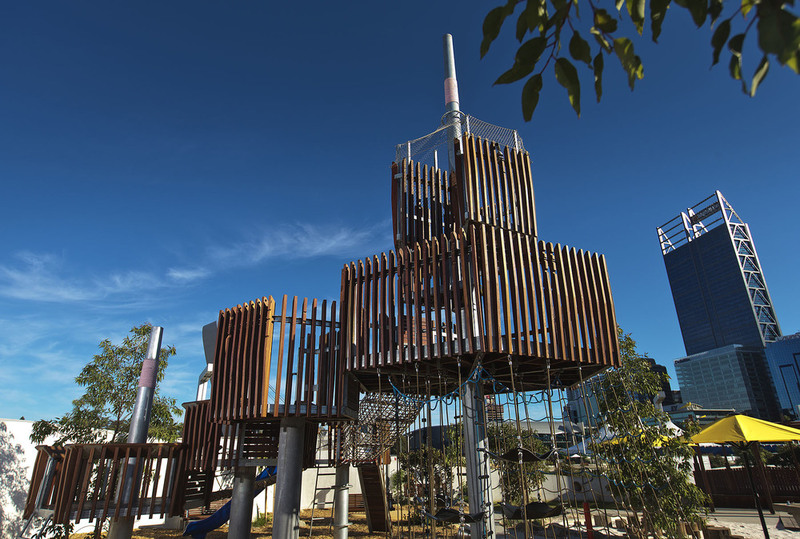 The playground, now complete, at one of Perth’s most notable locations, can be enjoyed by Perth's children for many years to come.